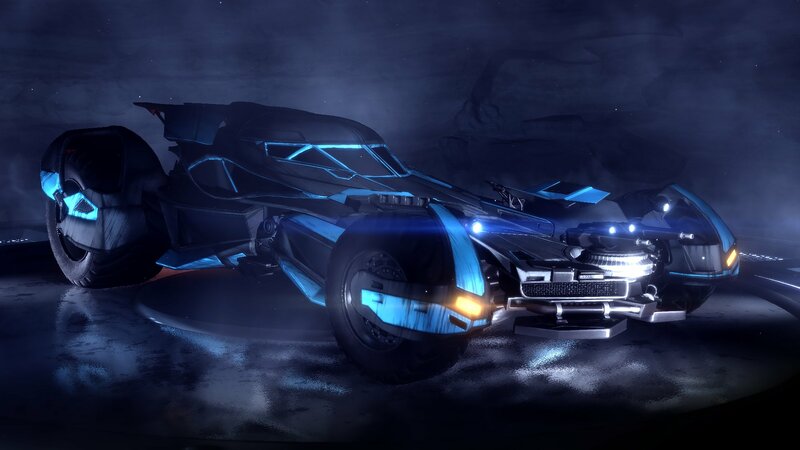 If you you have come across this post, you likely are wondering what is the best Rocket League Car in the game. I have wondered this over and over again when I first started playing the game. Over my play time since Season 1, I have switched to multiple cars, tried DLC cars, and fine tuned my play with the cars I use. To answer this question, you really need to do a detailed analysis on the types of cars, the stats of them, turning radius, physical appearance of the car, and look at your own skill set. Let’s go through the analysis so you can figure out what the best rocket league car is for you. 6 Why Do So Many Rocket League Pros Use the Octane? If you have checked out other videos or looked around at other articles most players will tell you it comes down to personal preference. The problem I have with this statement especially if you are new to the game is you probably lack the hours or skill set to really know what your play style is. If you know your play style than you can match the car that best fits your style and your skills. Many of the coaches in Rocket League Coaching Discord have told me in the past that play style really does not start forming until you get to around Champion rank. Some of our coaches argue that it really doesn’t develop until you hit high Champ level tiers or even early Grand Champion (a statement I heard during season 3). So before we determine what Car is best for you, you really need to understand the differences in the cars, and then align your car selection with the skill set you have. From there as your personal play style develops, you can switch your car based on what fits your style of play and the playlist you are challenging. 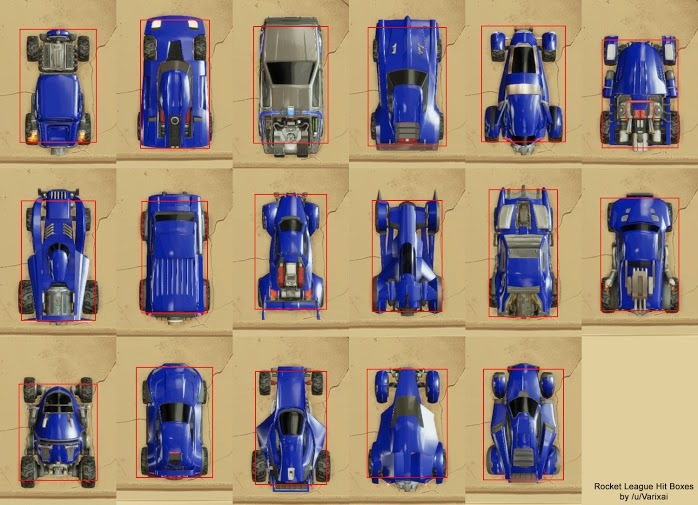 As Rocket League is a video game and not real life, each car in the game has a hitbox. These hitboxes are the total area of the vehicle where a hit would register. Regardless of what topper or accessory you stick on your car, the hit box is always absolute on your car. Some cars are fairly accurate to their hit box visually and others are not. I’ll go more into this later in the post, but let’s breakdown the stats first. This is the total width of the car hitbox. Wider cars will have an easier time dribbling the ball side to side and thinner cars tend to be longer in the game. This is the total height of the hitbox. Taller cars will have an easier time bounce dribbling and winning kickoffs. Shorter cars will have an easier time flicking and dribbling the ball on top of their car. 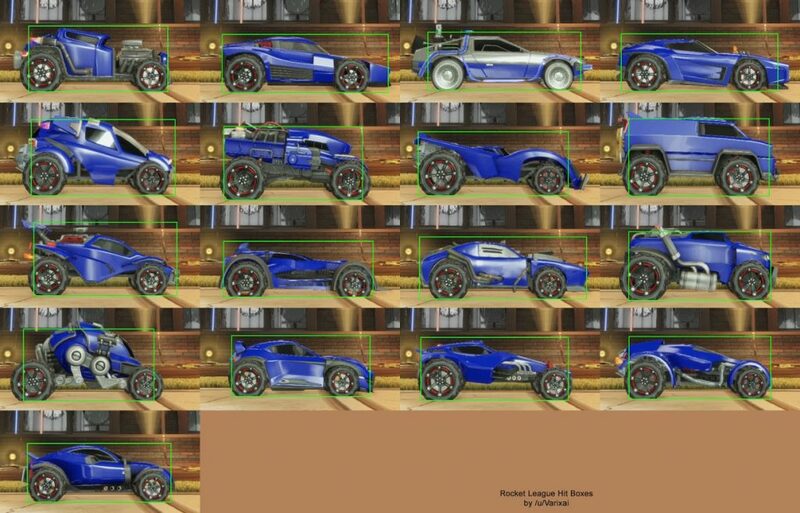 Below are visualizations of various cars in rocket league so you can see the hitbox differences between the cars. Turn Radius to me is the the biggest factor of my car decision. A shorter car tends to turn and rotate faster and feel more agile while a longer car will turn and rotate slower but will feel more stable in the air. Below are the same sample of cars and their turn radius. In the sheet, there is a breakout of turn speed without boost and at supersonic or 100% boost power. Average turn radius is also displayed. The higher the value on this table, the tighter the turn. The values here are velocity values generated by the game itself. So I provided all these stats and you can tell there are in fact differences in the Rocket League Cars. I can go and break down each value and tell you which car has the tightest turn speed, the widest hitbox, or fits best visually with its actual in-game hitbox, but I feel it is best to simplify the car stats analysis. I feel this is important to not only prevent information overload, but to also future proof this analysis. Psyonix continues to release new DLC cars and special crate cars so continuing to update these stats can be a bear. In addition, Psynoix may choose to nerf or buff certain cars to balance out game play. So let’s breakdown this car stats analysis into car type categories. Characteristics of these cars are they tend to have taller hitboxes (better kickoffs) and feel more agile when turning. You could make a valid argument that the Merc should be in its own category, but for simplification I prefer to keep the Merc here versus separating it into its own car type. Characteristics of these cars are that they have shorter hit boxes and are known for having an easier time flicking balls. Dominus and Plank car types tend to be favored among freestylers due to feeling more stable in the air and having an easier time hitting the ball on the nose of the car. These are shorter hitbox cars that have a similar turn feel to the Octane car types. I’m not here to create a car tier list of the best cars in Rocket League, but rather to help you determine the best car for you. Now that we have broken down all cars in Rocket League to 5 car types, let’s break down your mechanical skill set so you can determine the best car. Take a look at these skills. Of the skills above, which ones do you feel strongest at? Pick the car that plays to your mechanical strengths at first. The one that plays to your mechanical skills will initially be the Best Rocket League Car for you. 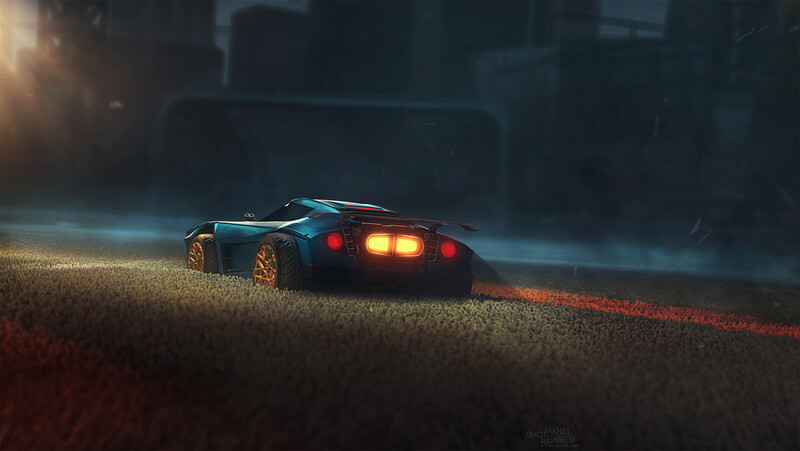 As you progress in the game, you may switch to the other car types to improve upon parts that you are weak at, to play stronger with the teammates, or to play stronger on the playlist you trying raise your Rocket League Ranks on. I know several of the coaches on our Discord would disagree with me, but I would say yes cars do matter in Rocket League. They matter not the way most people think though. When you probably clicked on this article you were probably wondering what the best car in rocket league is or if there was a consensus Rocket League Car Tier list. Others will say it is all about personal preference. I’m mostly saying cars matter when you can look at your mechanical skill set, your teammates, and your playlist. If you have a potato set of mechanical skills like me, than the Octane or Hybrid car type is going to be the best for me. 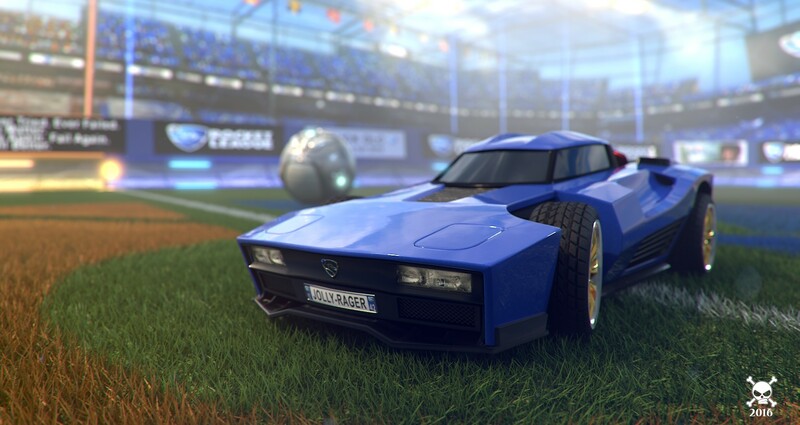 If you are a freestyler or a heavy 1’s player, the Dominus or Plank Car types will likely be a better fit for you. From there it comes to your teammates. Which brings us to our next question. Why Do So Many Rocket League Pros Use the Octane? These quotes don’t mean that you should just pick car based on what the pros pick. At low tiers, we should pick the car to our strengths. 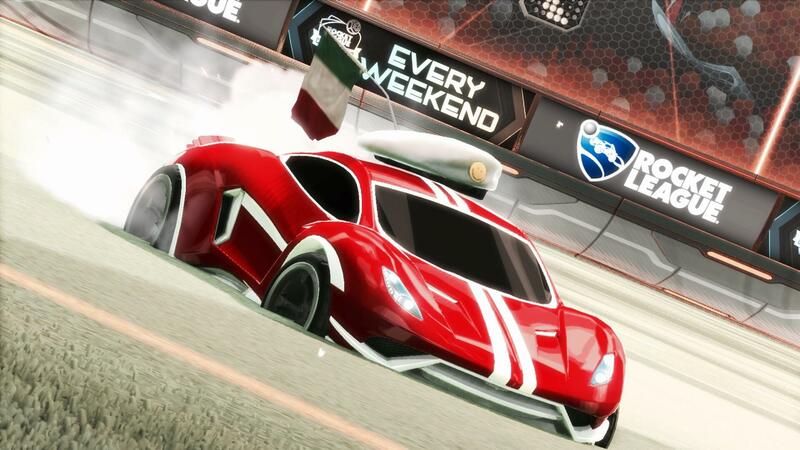 If you are a platinum player who is a flick master, then go with a car that plays to that strength as platinum players are going to have a hard time defending against your flicks. 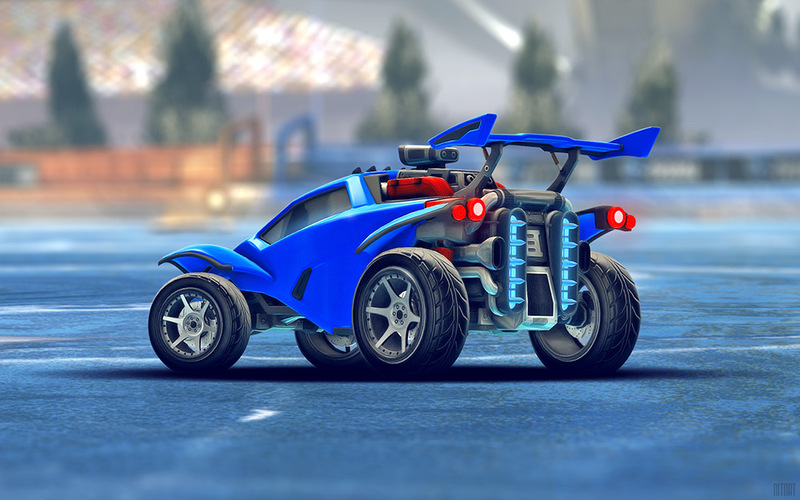 I hope this article helped you in determining what the Best Rocket League Car is for you and how you can go about determining what car fits best with your abilities. If you have any additional thoughts or want to talk about your experiences with the Rocket League Car of your choice, leave a a comment below. See you in-game or on our Discord server and thanks for reading! Chupa49 is part of the RLCD.GG website staff. He joined us as a Challenger 1 back in Season 3. As of the beginning of season 6, he is a Diamond 3 player. He has benefited from the discord server by getting coached by several members. As a part of giving back to the community that has helped him get to a tier he never thought was possible, he wrote up this guide to help out many others in his situation with very limited time and with no direction to go to find the right type of training and coaching at his level that would be beneficial to him. Chupa49’s best rocket league car is between the Octane and ’99 Nissan Skyline GT-R R34.